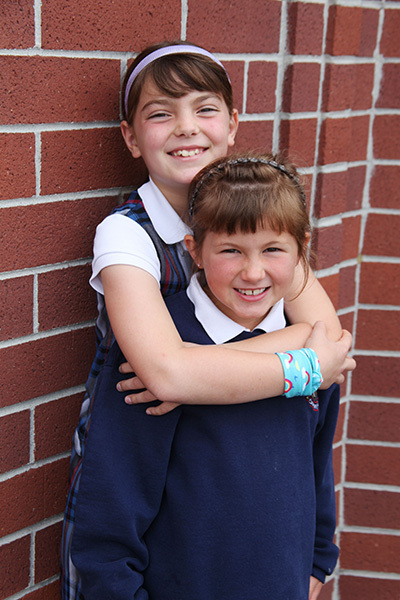 St. John the Evangelist School instills a commitment to community in its students, beginning in Kindergarten. Throughout the lower grades, students participate in community service through class and school-wide projects. Junior high students have a further responsibility to community service as a component of their religion classes. St. John the Evangelist School has a Junior St. Vincent de Paul Society which assists the Parish St. Vincent de Paul Society. They help in the parish food locker, which serves the needy of the Parish and surrounding community. Students participating in California Junior Scholarship Federation must meet extended service requirements established by the federation. As part of their preparation for the Sacrament of Confirmation, the eighth grade students are required to do community service.